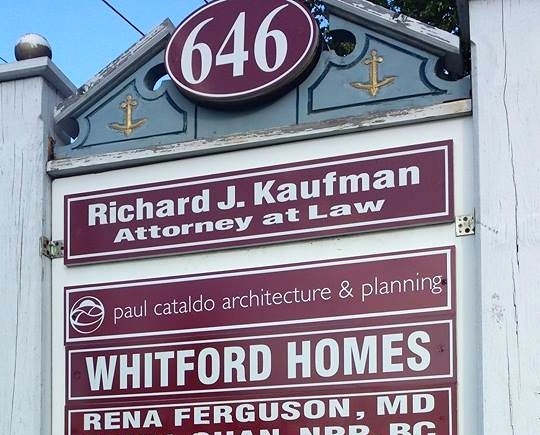 Long Island green architecture firm Paul Cataldo Architecture & Planning, PC has relocated to a new office building at 646 Main Street, Suite 202, in the pedestrian-friendly midtown area of Port Jefferson. In addition to the new office, the firm has expanded its staff, welcoming additional designers and draftspersons. Cataldo’s current slate of projects include a green remodel of the North Babylon Public Library. With a goal of reducing the building’s carbon footprint and energy costs, Cataldo and his team are focusing on energy retrofits and increasing ambient lighting, among other renovations that will improve the library experience for patrons. Cataldo is also personally serving on the advisory panel of the Tesla Science Center at Wardenclyffe, an upcoming museum at the former site of inventor Nikola Tesla’s laboratory in Shoreham, Long Island. Cataldo, a longtime advocate of sustainable urban planning, selected the new office site in part due to its location. The office is located in walkable downtown Port Jefferson, and less than half a mile from the nearby train station, allowing the firm to reduce its own carbon footprint by making public transportation convenient for staff and visiting clients.